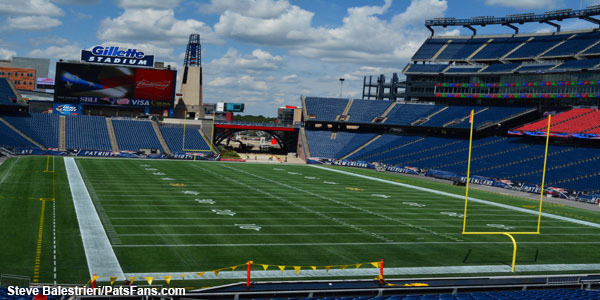 In this episode, we discussed in detail the Patriots schedule for the 2016 season. We also discussed the release of Dominique Easley, and also the opening of OTA’s for the Patriots. This entry was posted in Patriots 2016 NFL Draft, Patriots Podcast and tagged 2016 NFL Draft, 2016 Patriots Roster, Bill Belichick, Dominique Easley, New England Patriots, Rob Gronkowski, Tom Brady on April 20, 2016 by Russ Goldman. 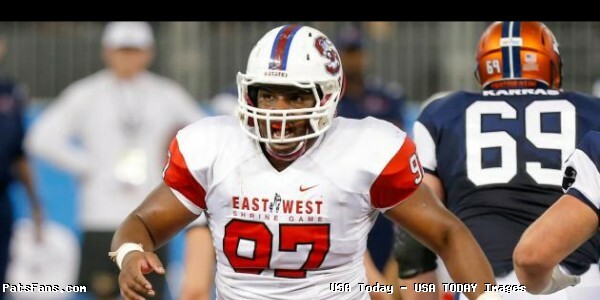 On Wednesday the New England Patriots made headlines with the sudden release of former first round pick an defensive tackle Dominique Easley. The move ended a brief two-year stint with the team who took him 29th overall in 2014 out of the University of Florida. On Instagram Thursday, Easley posted a short goodbye message to the organization thanking them for the opportunity. This entry was posted in Patriots Commentary, Patriots News and tagged Dominique Easley on April 14, 2016 by Robert Alvarez. The Patriots defensive line entered the 2015 season with some questions. It was the first time in more than a decade that they’d not have big Vince Wilfork clogging the middle. And with questions about how the rookie 1st round draft pick Malcom Brown would work out, the Patriots ability to stop the run as well as push the pocket from the interior was not as sure as in years past. The Patriots traded for Akiem Hicks on September 30, sending backup tight end Michael Hoomanawanui to the New Orleans Saints for his services. 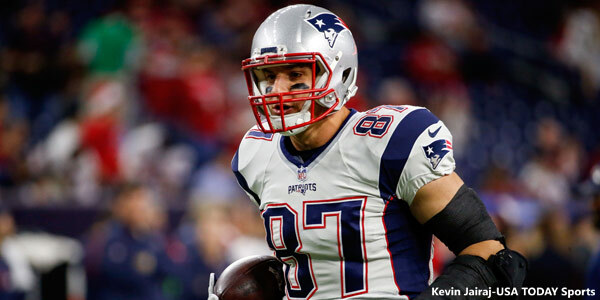 At the time the trade made little fanfare, but it ended up being a steal for New England. Now at the end of the 2015 season, Hicks is the team’s biggest free agent priority to bring back in 2016. Hicks was drafted in the 3rd round of the 2012 NFL Draft by the Saints and after three seasons due to a change in philosophy as well as diminishing returns, he was relegated to a backup role in New Orleans. There were some whisperings of his work ethic, which made the trade seem like a bust. But Hicks just needed a fresh start and has been a valued member of the team. He started slowly as the four-man rotation featuring Malcom Brown, Dominique Easley, Alan Branch and Sealver Siliga was already set. But when Dominique Easley went down with a season ending injury, Hicks stepped in to the third player in the rotation and played very well. The big 6’4, 325-pound lineman is versatile, a Bill Belichick staple and can play anywhere from 0-technique to a 5-technique. His ability to stop the run and collapse the pocket were big parts of the Patriots defense down the stretch. His role increased as he became more familiar with the Patriots system and given a better defined role once Easley went down. Playing a 5-technique defensive end in the Big Easy, he played more of a defensive tackle role in New England moving in different spots on the line. He logged 21 tackles, including 15 in the final four games, with three sacks and a fumble recovery for a touchdown in 2015. He uses his big frame and plays with good leverage in the running game but has long arms that he can shed blockers in pass rushing, his specialty. And it never hurts to get a little love from the head coach. Bill Belichick was singing his praises to the media earlier this month. Why Hicks Will Return: Versatility, leadership and production. And he’s only 26 years old so he’s just entering his prime. Hicks seems to have found a second lease on his career in New England this season and his signing will align him with Malcom Brown, Dominique Easley, Dont’a Hightower and Jamie Collins to give the team an incredibly young and talented nucleus for the front seven. The Patriots had their eye on Hicks this season at the joint practices in West Virginia, Belichick said as much back in September when they made the trade for what was their fourth tight end on the depth chart. They know what they have in Hicks and he was just finding his groove at the end of the season after a slow start. He should only get better in 2016. Why Hicks Won’t Return: Money. 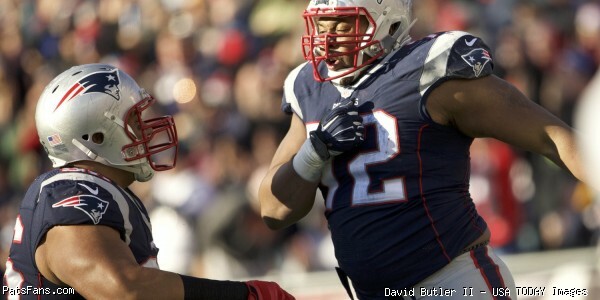 Hicks’ performance may put him in-line for a huge payday that the Patriots may decide that is too rich for their blood. Belichick is a pragmatist when it comes to contracts. He will pay a player what he feels that player is worth and not a penny more. If another team comes in with an offer for big money, Hicks could be moving on next season. The Patriots won’t be the only team vying for his services as Hicks plays a position that is always paid and paid well in free agency. Bottom line: Our take is that there is a better than 50/50 chance that Hicks will return to wear the Flying Elvis in 2016. He’s more than shown he’s a fit. And once he got to play regularly, he played and played well. Now that he’s comfortable in the system, he should be even better next season. 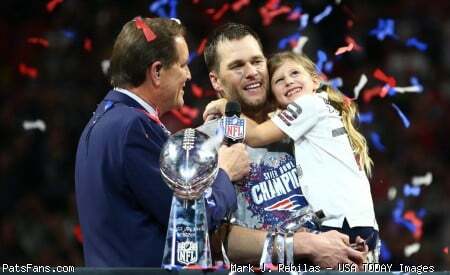 This entry was posted in Patriots Commentary, Patriots News and tagged 2015 NFL Season, 2015 Patriots, 2015 Patriots Season, Akiem Hicks, Alan Branch, Bill Belichick, Chandler Jones, Dominique Easley, free agent profile, Malcom Brown, New England Patriots, NFL Free Agency, Patriots, Patriots free agents, Sealver Siliga on January 29, 2016 by Steve Balestrieri. On Wednesday, The New England Patriots signed free-agent defensive tackle Ishmaa’ily Kitchen to add depth at the position following the season ending injury to Dominique Easley. DT Ishmaa'ily Kitchen is here in Patriots locker room. A Kent State product. Catches up with former Browns teammate LB Eric Martin. This entry was posted in Patriots Commentary, Patriots News, Patriots Video and tagged Dominique Easley, Ishmaa'ily Kitchen, Mike Reiss, Transactions on December 16, 2015 by Robert Alvarez. The Patriots got back on the winning track in Houston on Sunday Night Football with a convincing 27-6 win as the defense dominated the Texans offense and limited them to just a pair of first half field goals. Houston could only muster 189 total yards of offense with just 102 net yards thru the air. Part of that reason was the very good coverage by cornerbacks Malcolm Butler, Logan Ryan and Leonard Johnson who all had solid performances. Johnson had been on the team less than a week and just seven days before had worked out for the team. He received a lot of praise from Bill Belichick for the hard work he put in, trying to learn the Patriots defense in a very short amount of time. But the defensive linemen were the ones who really turned the tide in this one; they notched six sacks of Texans quarterbacks and were putting them under pressure all night long. It was a total group effort with the interior players pushing the pocket and the edge rushers bringing pressure outside. Surprisingly, the dominant performance by the Pats defensive line was on a night where the team’s lead in sacks, Chandler Jones had a pretty quiet night. But Jabaal Sheard and Rob Ninkovich more than made for that on the other edge. Sheard has regained his health now after having some ankle issues and is playing once again at a very high level. Unlike some dedicated pass rushers that the team has had in the past, Sheard is far from a one-trick pony. He’s smart, versatile and plays the run extremely well. 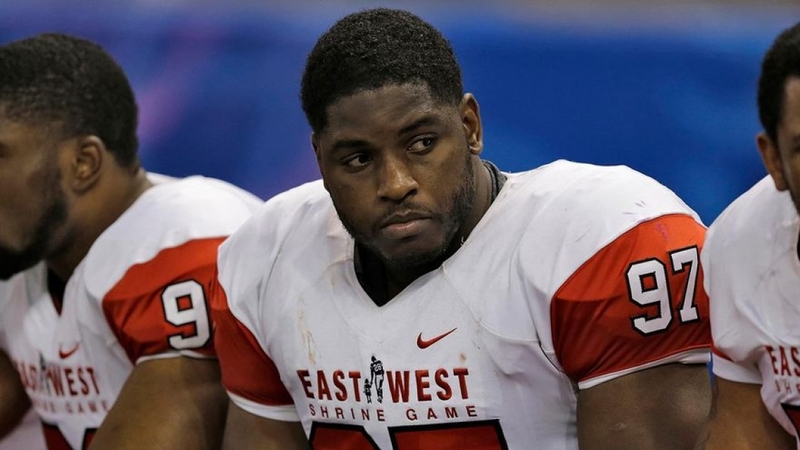 His signing this spring was a coup; at the time an under the radar steal from the Browns. Akiem Hicks in the interior is playing some of his best football right now. The team traded for him with New Orleans and he’s beginning to return to form that they had hoped for. He, Alan Branch, Dominique Easley and Malcom Brown have put together quite a rotation inside. On the Texans first series, Easley uses a bull rush to defeat his blocker and just overpowers him, pushing him violently back into Brian Hoyer causing a third down sack and forcing the Texans to punt. Jones looped around the inside was right there with Easley giving Hoyer no chance at escape. It was a great effort by the defensive line as a whole as they totally collapsed the pocket and didn’t allow Hoyer to step up or have the time to make a play. On Jabaal Sheard’s first sack, it was significant because the loss of 21 yards took the Texans out of field goal position and nearly resulted in a turnover at midfield. Sheard lined up wide at left DE. There was confusion in the Texans OL. The right tackle, Brown, took Jamie Collins who lined up inside of Sheard and was showing blitz. Sheard was unblocked and flew off the edge. The running back should have at least chipped Sheard on the way out into the flat. It was a breakdown all around and Sheard came in untouched and knocked the ball loose. Ninkovich follows with a sack of his own. He lines up wide at the LDE position, Sheard is playing inside and brings pressure up the middle along with Akiem Hicks who also pushes the pocket from the RT position. Ninkovich does a nice should dip and blows right past Brown who won’t enjoy his film review this week for the Texans. Sheard comes up with another gem, which ultimately leads to a Patriots touchdown. He lines up wide at LDE and this time takes an inside move and runs a stunt behind Alan Branch. He wins the matchup cleanly and as he gets to Hoyer he flings him to the ground causing a fumble. Malcom Brown who was playing on the nose, was double-teamed but didn’t quit on the play and alertly jumped on the ball recovering at the seven-yard line. Hicks who had a very strong game, lines up on this play at 0-technique right over the center. He pushes the pocket back onto Hoyer. Sheard brings pressure from the outside again and is visibly held (non-call), but his play forces Hoyer to step up, right into the arms of Hicks who flings him down. Hoyer was injured on the play and didn’t return. Hicks then welcomed Yates to the party by sacking him at the six yard line. Hicks lined up at LDT and once again pushes the pocket back. Sheard brings tremendous pressure off of the LDE side and once again is obviously being held. 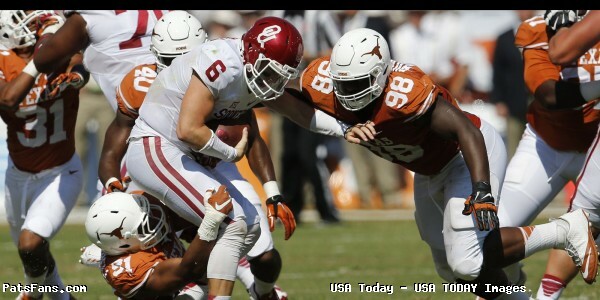 But Hicks is able to push through his blockers and get to Yates. Ninkovich is also bringing pressure from the outside RDE position. This was a great performance by the Patriots defensive line on Sunday night. Coupled with strong play by the secondary, it was a dominant effort against albeit a limited offensive team but doesn’t take away from their production as a unit. 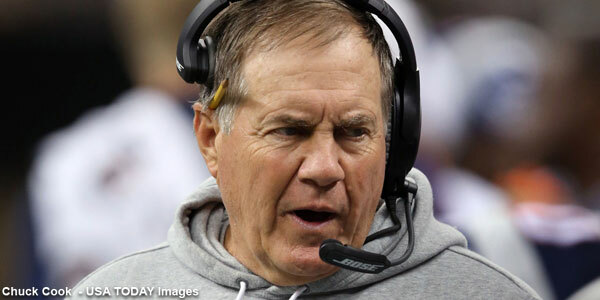 Bill Belichick always states that defense is a team effort with the pass rush and coverage working in concert. Sunday was another big game for this unit. Normally they rely on A-gap pressure from Jamie Collins and Dont’a Hightower. But this was a night for the defensive line. If the Patriots can get consistent pressure like this from the line, it will serve them well down the stretch and into the playoffs. This entry was posted in Patriots Commentary, Patriots Film Room, Patriots News and tagged Akiem Hicks, Alan Branch, Bill Belichick, Brian Hoyer, Chandler Jones, Dominique Easley, Houston Texans, Jabaal Sheard, Malcom Brown, New England Patriots, NFL, Patriots, patriots defensive line, Patriots edge rushers, Pats, predictions, Rob Ninkovich, Tom Brady on December 15, 2015 by Steve Balestrieri.